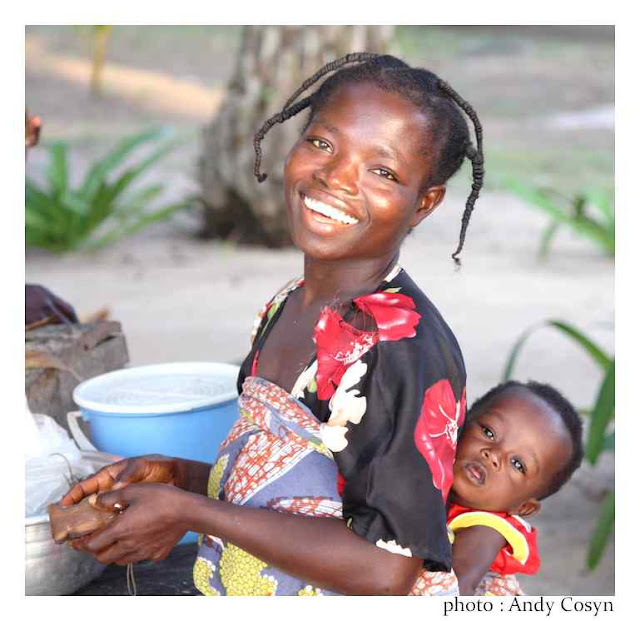 The Ahantas are an Akan people who live to the north of the Nzema. Ahanta literally means "the land of Twins." 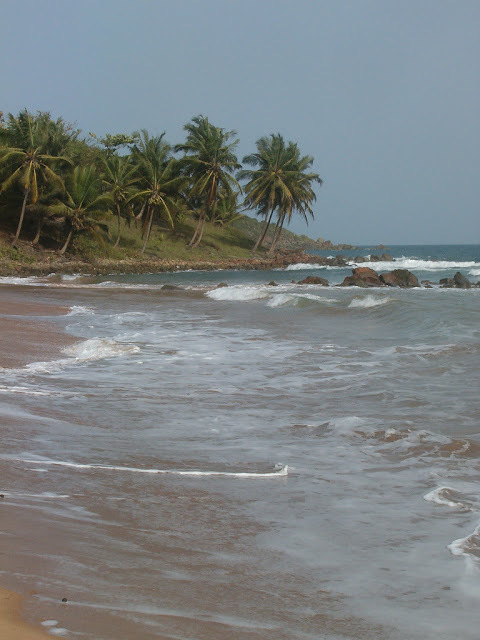 The Ahanta land has been historically known as one of the richest areas on the coast of what is now Ghana. The land of the Ahanta, is what is now the Western Region of the Republic of Ghana, comprised a regional power in the form of a confederacy of chiefdoms which had come in early contact with the European nations settling on the Gold Coast for the purpose of trade. The towns include what the Dutchs referred to as Taccarary (Takoradi), Sekondi, Cape Three Point, Akwadaa,Busua , Dixcove,Prences etc. Their capital is Sekondi-Takoradi also known as the twin-city. 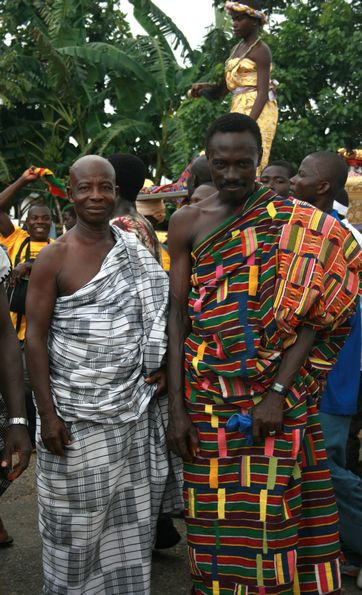 The Ahantas like their fellow Akan people (Fantes) migrated from the antique Akan kingdom of Bono state. The Ahantas together with the Fantes migrated from Bono kingdom in 1229 when king Obrumankoma,a Fante King that was ruling Bono kingdom died. They Bonos were against the Fante sojourners including the Ahantas who were intelligent hardworking farmers and fishermen. Ahanta fishermen on their way to fishing at Busua,Ghana. According to the great Fante historian and Folkloric writer Joseph Brandford Crayner, "the Bonos sacked the Fantes over their growing influence and also succeeding in getting themselves enstooled as Kings among the native Bono. The Fantes first had Kunkumfi Ameyaw being chosen as their first king over Bono kingdom." "After the death of Obrumankoma, the Bonos decided to have one of their own become a king, the Fantes got angry and decided to leave Tekyiman. Their journey was led by Odapagyan and Oson from Tekyiman to the south. When they reached the back of River Pra they settled there." Crayner posits that a fante prophet and a priest Okomfo Amina performed a ritual on the assemblage of the Fantes congregated near the river Pra. "In his incantation a whirlwind surrounded the people and took them across the river. Ahanta fish-mongers selling fish at the Sekondi Fishing Harbor,Ghana. Those who were not there could not be transported across the river to the other side." Some of the people who could not cross also moved westwards and towards the south. 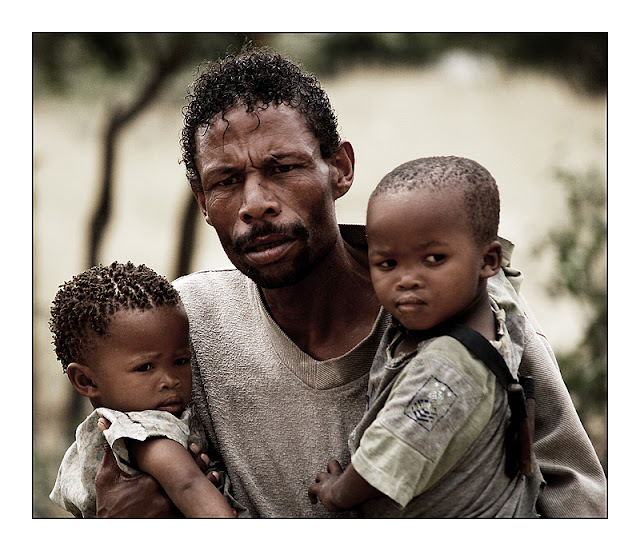 These are the present day Ahantas and Wassa people. So historically speaking the departure between Ahantas and their Fante brothers or fellow migrants occurred at the back of river Pra. Crayner again argues that they were other aboriginal people on the Gold coast land called the Mpakowa and Etsii people as well as the remnants of Asebu people living in Moree that went and settled amongs the Ahanta people. Narrating an ancient oral history,Crayner told me recently at his residence in Mankessim that "The Asebu people living in Moree upon war made on them by the Fantes entered the sea to hold the tails of several dolphins and whales that transported them to Busua. This is how come the kings of Busua/Ahantas came to have Bonso (Whale) names. After the Dutch had driven the Swedish out of Butre, the director general of the Dutch West India Company, with headquarters in St. George d'Elmina in the central Gold Coast, decided that it would be beneficial to negotiate a treaty with the local political leadership in order to establish a peaceful long-term relationship. The Ahanta leaders found it equally beneficial to enter into such an agreement. The 1656 treaty signalled the definitive switch in European jurisdiction in the area until 1872. The Treaty of Butre between the Netherlands and Ahanta was signed at Butre (historical spelling: Boutry), Dutch Gold Coast on 27 August 1656. The treaty regulated the jurisdiction of the Netherlands and the Dutch West India Company over the town of Butre and the surrounding country of Upper Ahanta, creating a Dutch protectorate over the area. The treaty lasted until the Dutch departure from the Gold Coast in April 1872. The treaty and the terms of the protectorate turned out to be very stable, most likely in part because the Dutch never had the intention to interfere in the affairs of the Ahanta states. That is, except for the town of Butre, where they built a fort (Fort Batenstein). The treaty could be interpreted as a treaty of friendship and cooperation, rather than as a treaty establishing a Dutch protectorate. The Dutch worked in close cooperation with the local chief, who was also second in line in the political leadership of what became known as the Kingdom of Ahanta and had its capital at the nearby seaside town of Busua. The relationship between the Ahanta and the Dutch was at times volatile. This includes when an Ahanta chief seized one of the forts the Dutch were using for trading, including slave trading, and resisted the cannon fire of ships and fought off a regiment of 120 soldiers. 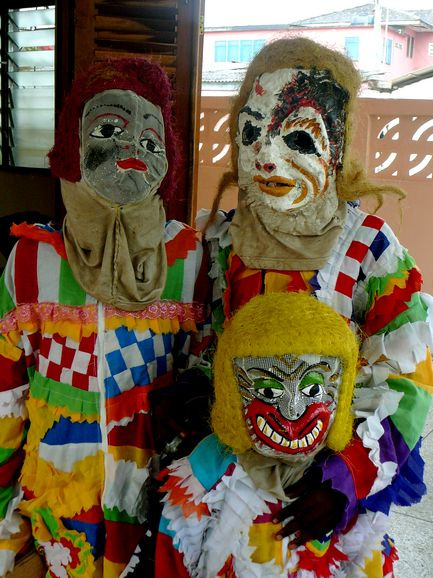 This history if this is still celebrated today in Jamaica under the name Jonkanoo. In 1837 the king of Ahanta, Baidoo Bonsoe II (Badu Bonsu II), rebelled against the Dutch government and killed several officers, including acting governor Hendrik Tonneboeijer because of his dislike of how the Dutch operated in his region. The Dutch government used the treaty as the basis for military action and an expeditionary force was sent to Ahanta. 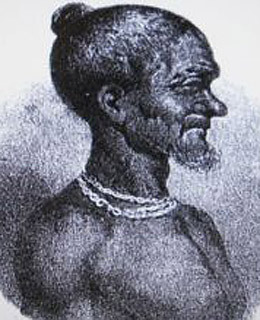 In the war that followed King Baidoo Bonsoe II was killed and had his head taken/used for experiments at Leiden University Medical Center in The Netherlands. The head was later returned in 2009 . The Dutch reorganised the Ahanta state, after the rebellion, appointing the chief of Butre as regent, keeping the country under close control with an enlarged military and civilian presence. When the Dutch transferred their possessions on the Gold Coast to the British on 6 April 1872, the treaty of 1656 was still in effect, having regulated political relations between the Dutch and Ahanta for more than 213 years. The treaty was one of the oldest and one of the longest functioning treaties between an African and a European state. With the Dutch possessions, the British took over all legal obligations including the existing treaties and contracts. After the transfer the British started to develop their own policies towards the now united Gold Coast possessions. Ahanta resisted the British take-over, with the result that the British Royal Navy bombed Butre in 1873 to achieve a political submission. In 1874 Britain declared the entire Gold Coast – including Ahanta – a Crown Colony, de jure and de facto ending all former diplomatic and legal obligations. 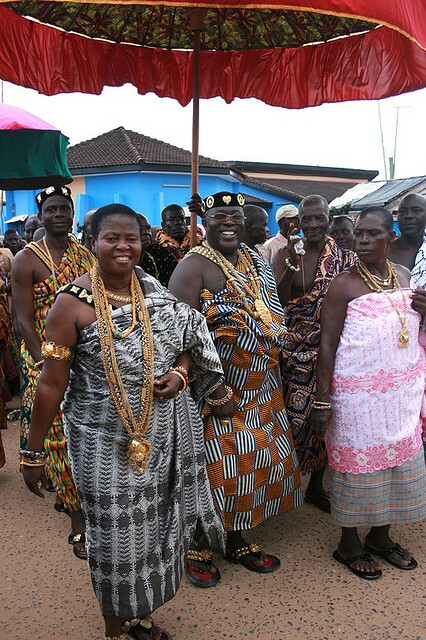 The Ahanta people celebrate the Kundum festival. Kundum is a harvest festival and involves dancing, drumming, and feasting. It was in its original state a religious festival that was used to expel evil spirits from the town. 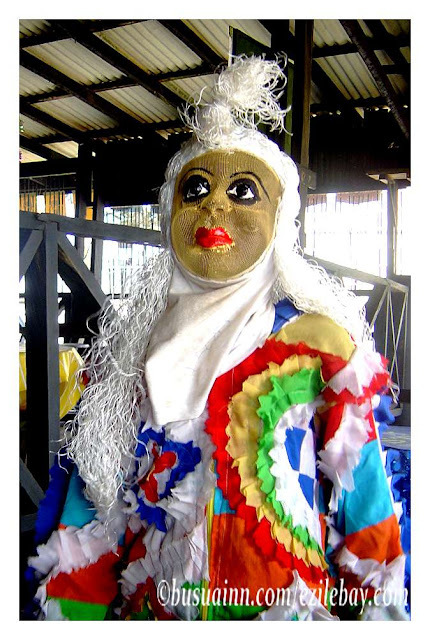 Today, Kundum is celebrated as a way to preserve the culture of the Ahanta people and neighboring Nzema. The festival previously was one month long but, has recently been condensed to eight days. Avudwene satirical songs are performed in the Nzema annual Kundum festival. 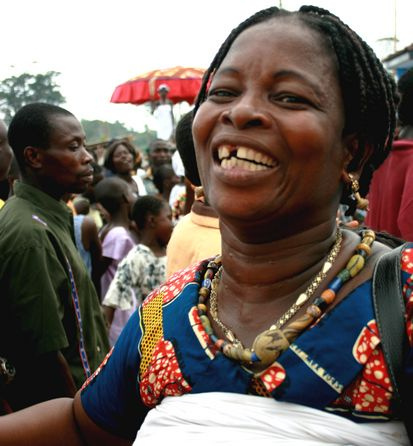 The festival is celebrated by the Ahanta and Nzema people of south-west Ghana (Agovi 1979), who occupy a contiguous coastal strip of land from Sekondi-Takoradi to Half-Assini in the Western Region of Ghana. 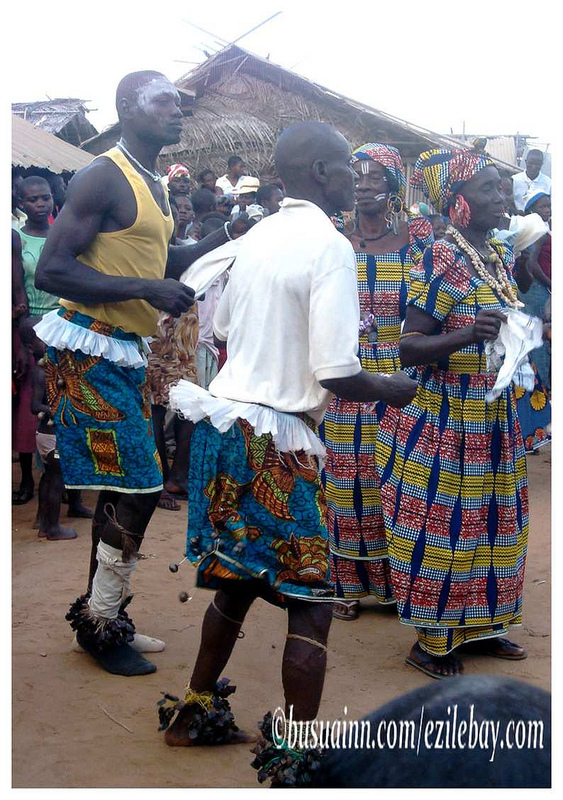 They are members of the Bia language group (Kropp-Dakubu 1988: 50–76) and share the same Kundum festival as a common cultural event. Since the early seventeenth century when the festival was first recorded in European records (Bosman 1967: 158), writers have always drawn attention to its dominant religious focus and links with other festivals in Ghana (Rattray 1924: 151–5). On the other hand, its singular feature of satirical songs significantly reveals a concern with secular issues. It deals exclusively with historical, political and socio-economic developments in Ahanta—Nzema society. For this essay, the socio-political concerns of the songs have been isolated for analysis. Several writers have drawn attention to the close relationship between African orature, politics and the traditional state. According to Ruth Finnegan (1970: 82), the patronage of poets in centralised political systems in the past led to the creation of a ‘poetry of profound political significance as a means of political propaganda, pressure or communication’; such poetry includes songs of insult, challenge or satirical comment used as ‘politically effective weapons’ (1970: 172). .Ahantas practice traditional African religion, Christianity, and Islam to a lesser extent. 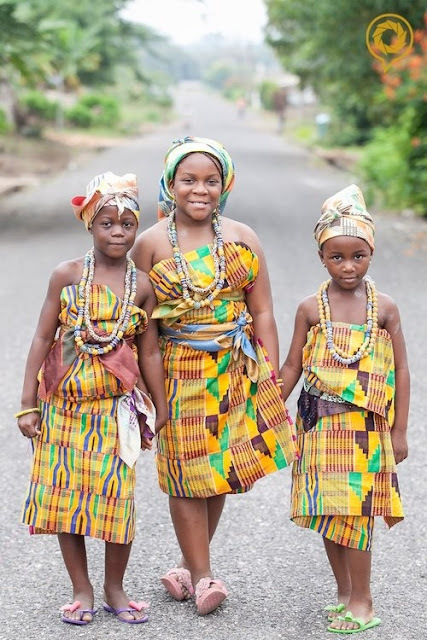 The Ahantas believe in Odomankoma Nana Nyankopon,Nyame mu Enyame (Almighty Creator God, The Lord among the gods).They also have the same family or clan system like all the other Akans. 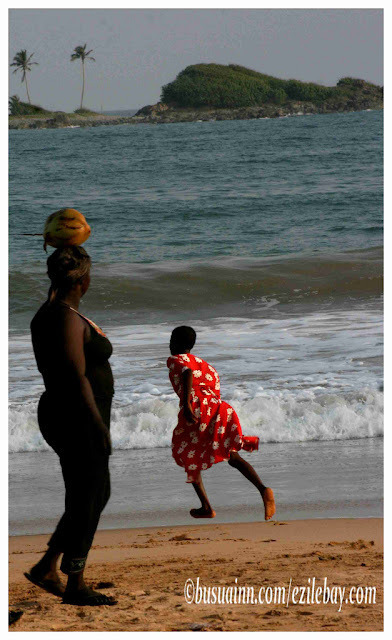 Ahanta woman carrying her baby on her back at Akwidaa village,Western Ghana. The time Magazine`s May,10th 2011 edition carried a story captioned "Top 10 Stolen Body Parts" put the story of "The head of King Badu Bonsu II" at the number 9 spot. The story written by Christopher Shay states that "In 1838, after decapitating two Dutch emissaries and decorating his throne with their heads, King Badu Bonsu II, the ruler of the Ahanta tribe in present day Ghana, was himself beheaded by Dutch soldiers. For more than 150 years, King Bonsu's head was lost until an author found it stored in a jar of formaldehyde in a Dutch museum. Ghana immediately asked for the King's severed head back and, in July 2009, members of the Ahanta flew to The Hague and staged a mourning ceremony that included pouring gin libations on the floor of the Foreign Ministry before taking the head back to Ghana." 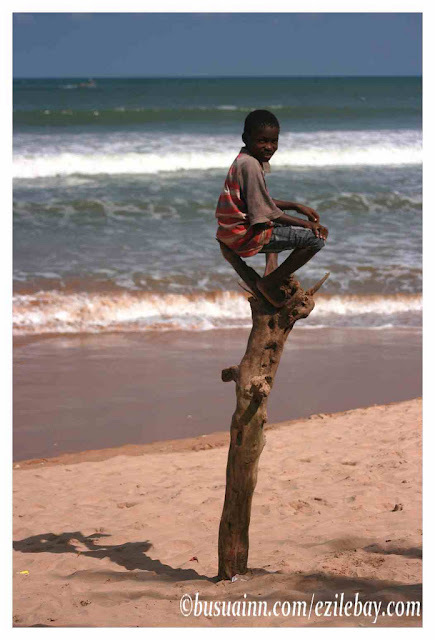 On the western coast of Ghana there is a bit of paradise in what the Ahanta people call Ahanta land. At the center of this is Cape Three Points which is a cape complex with lush forests, agriculture, beaches, and villages. I call the whole area for the sake of this article the Cape Three Points Area. This has become a popular place for tourists but by no means is it crowded yet. The draw here is the endless miles of splendid empty beaches edged by rain forest, palms and jungle. Starting from Butre there are trails that will take you all the way to Axim if you wish. There are wonderful lodges, and eco-lodges along the way to break up the trips. Bikes can be rented at a number of lodges in the area included Green Turtle Lodge, and Escape3points. Other highlights of the area are canoeing through the mangroves on the Ezile River near Akwidaa, hiking in the Cape Three Points Reserve, climbing the lighthouse at Cape Three Points Village and just enjoying the endless beaches. Akwidaa vu d'Ezile bay the most secluded and crowd-free beach in Ghana.